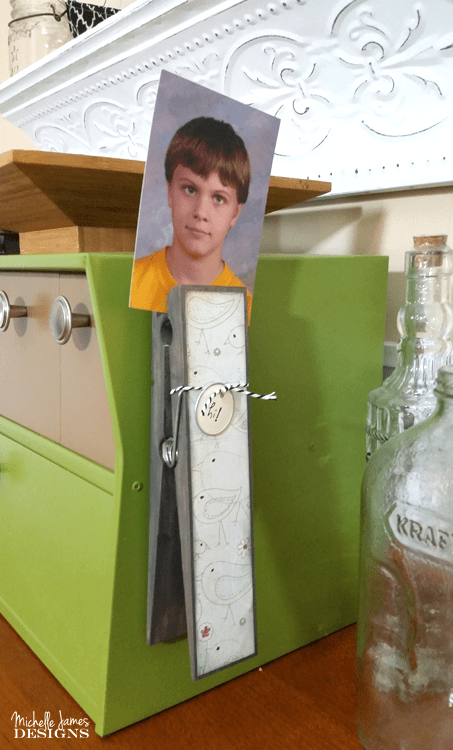 Sometimes you just need a giant clothespin organizer or photo holder in your life. 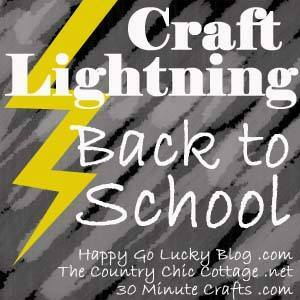 I am participating for the second time in the Craft Lightning event hosted by The Country Chic Cottage, 30 Minute Crafts and Happy Go Lucky! This time the theme is Back To School! Believe it or not back to school is right around the corner. Start now with fun craft projects that can make you life easier or more fun during the school year. Last time I participated the theme was patriotic and I made these Patriotic Glasses for Summer! 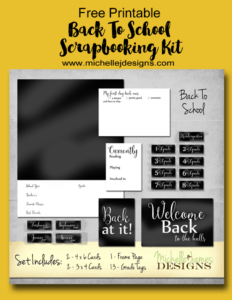 The bloggers who are participating, such as myself, get to make projects for back to school that can be made in 15 minutes or less (not including drying time). I think it is a great idea. People are busy and fun, easy, fast crafts that look great are always in demand. Be sure to check out the hosts and see what they have conjured up as their own Craft Lightning projects and you can also view everyone else’s projects on their sites as well. I have included affiliate links for your convenience. You can read my full disclosure here. 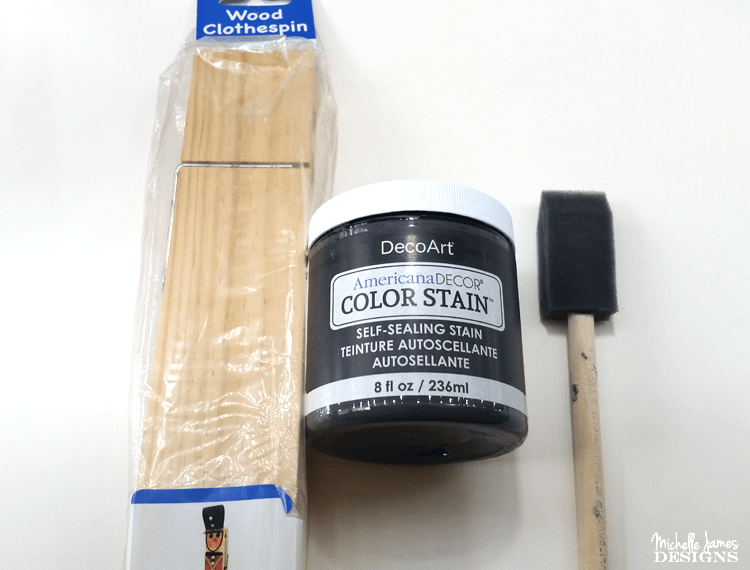 The nice people at DecoArt sent me the stain product for free in exchange for this post but all opinions are my own! This craft is super fast and perfect for this round of Craft Lighting. 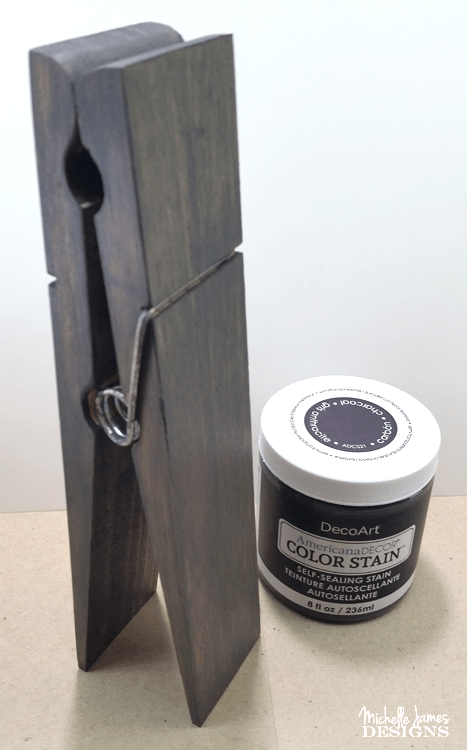 The first thing to do is to stain the clothespin with the DecoArt Color Stain. If you have never seen this product it is pretty nice. DecoArt sent me two colors to try out but this time I am only using the Charcoal. Basically it stains the wood like a wood stain and still lets the grain of the wood show through. 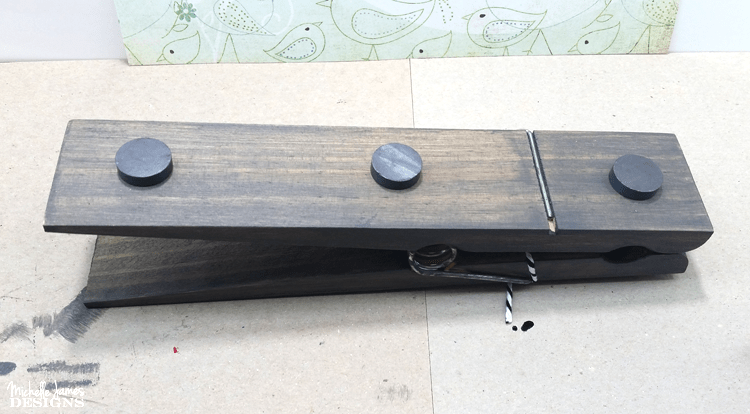 I added just one coat to this clothespin but you can add multiple coats for the look you want. And you can wipe it off with a soft cloth to create a more uniform look between coats if you think it needs it but on this project I just brushed it on and it looks fantastic. I used a foam brush to apply it. 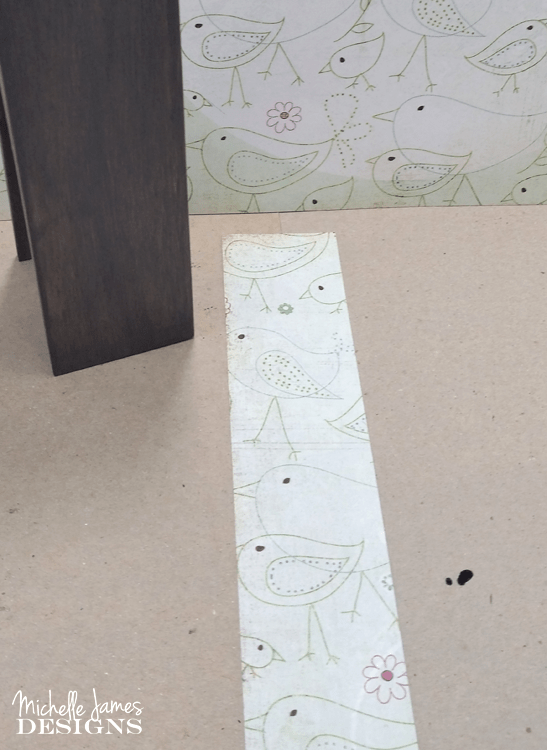 When the stain is completely dry cut a piece of scrapbook paper just slightly smaller than the front of the clothes pin. Glue it to the front of the clothespin. Tie a piece of the baker’s twine around the clothespin and add a little metal rimmed tag. 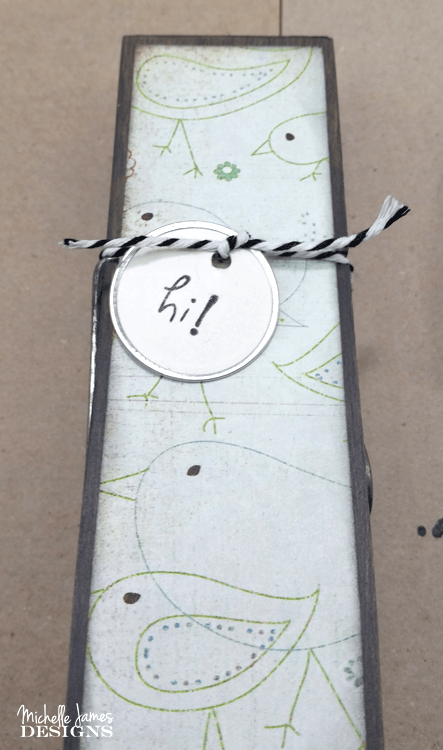 I used some black ink, a tiny rubber stamp that says “hi!” to make it fun. The front is done…just like that. Now the back. I wanted to be able to hang it on the refrigerator or any metal surface as well as just have it standing somewhere. So I used some strong magnets on the back. I used the hot glue gun to stick them down. I don’t have kids in school anymore but I am still going to use it in the same way. Either to gather important papers and hold them or to hold photos or cards. See, we are all done now. That wasn’t so hard and I think it looks awesome. What do you think? If you like it be sure to pin it! This clothespin is super cute! I would love to make one for my granddaughter’s photo. Love the pattern you choose for it. Just beautiful! So creative! Thank you Carolann! It would be so cute for your granddaughter’s photo and it was so fast and easy to do. What! this is so darn cute and useful for many things. now, i want a giant clothespin! Love this project you did michelle. Thanks Sue. I thought it was a lot of fun. 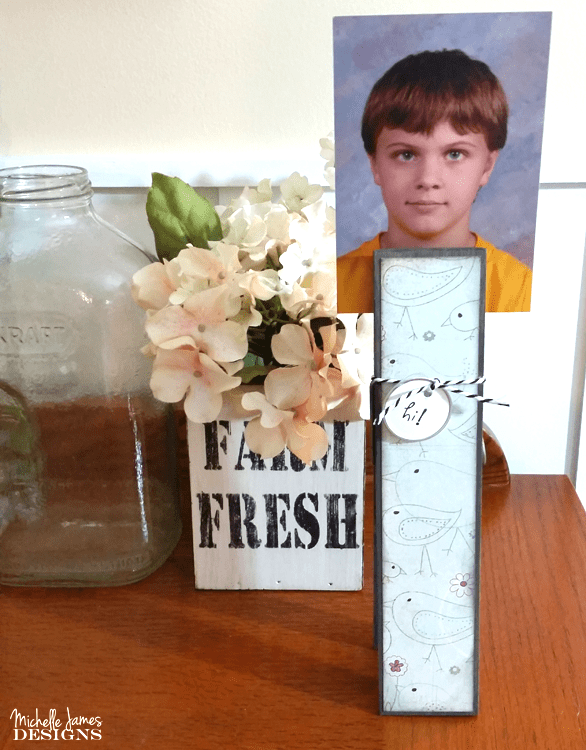 I used to sell these big clothespins at my store so when I saw one I thought it would be perfect for this post! Hi Angie! Thanks for inviting me again this time. I love the quick crafts! Great minds….or twin minds? Lol! Is your decorated exactly like mine? Wouldn’t that be funny? Hi Lorelai!!!! I do love clothes pins and these giant ones are super fun!